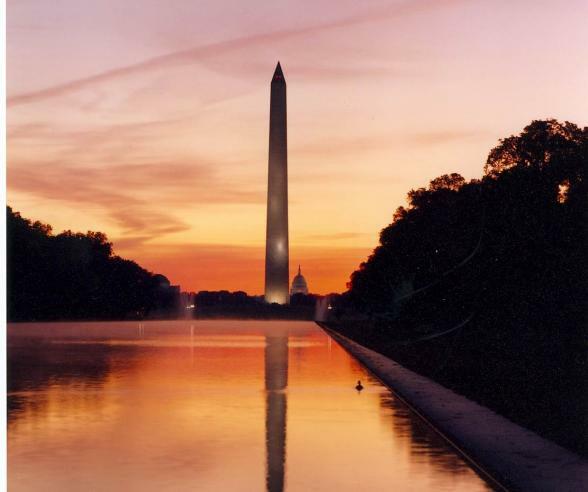 Just 20 minutes from Washington, Dulles Airport is the remarkable historical and cultural landscape that is the Journey Through Hallowed Ground. Meet 8 U.S. presidents. 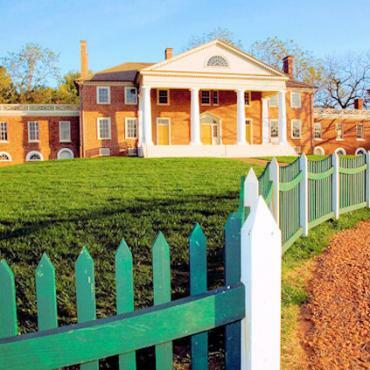 Walk in the footsteps of Revolutionary and Civil War soldiers, abolitionists and freedom seekers. Taste bountiful vineyards and orchards. Experience pristine rivers and rolling landscapes. Explore one of the most historic and beautiful regions in the country: the Journey Through Hallowed Ground National Heritage Area from Gettysburg to Monticello. Arrive in Washington, DC. Perhaps enjoy an early evening meal on the waterfront in historic Georgetown, or if time allows walk the National Mall and take in your choice of Smithsonian Museums (American History Museum, American Art Museum, Natural History Museum, Portrait Gallery, Air and Space Museum, American Indian Museum, Freer Gallery of Art or the Sackler Gallery). Today after breakfast visit United States Capitol Visitor Center. 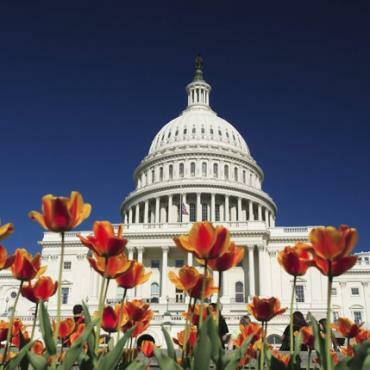 The Capitol is among the most architecturally impressive and symbolically important buildings in the world. The Senate and the House of Representatives have met here for more than two centuries. Begun in 1793, the Capitol has been built, burnt, rebuilt, extended, and restored; today, it stands as a monument not only to its builders but also to the American people and their government. 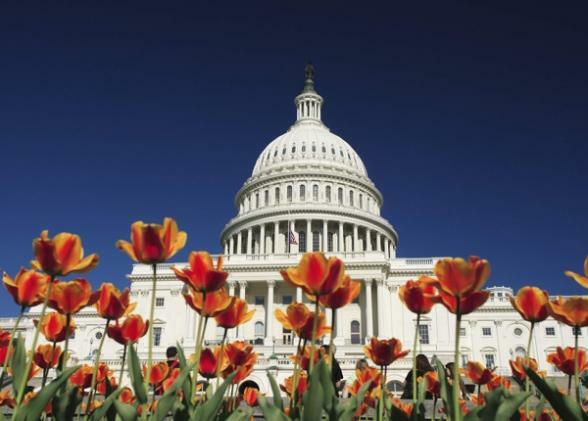 Enjoy lunch in DC followed by a tour of President Lincoln’s Cottage in NW Washington, DC. 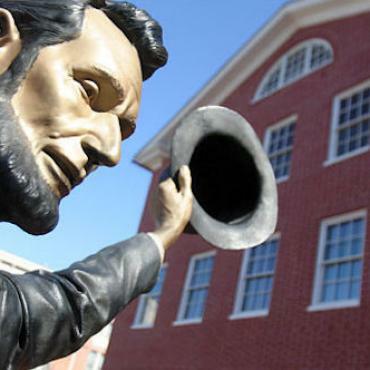 President Lincoln developed the Emancipation Proclamation while living here at the Soldiers' Home in Washington, DC. Lincoln's time here bookends the Civil War--he first visited the grounds three days after his inauguration and last rode out to the site the day before his assassination. While living at the Cottage for 13 months from 1862-1864, Lincoln regularly commuted to the White House. 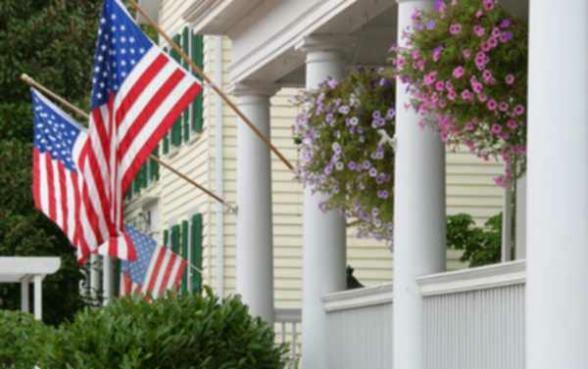 Take the short drive to Gettysburg and after checking in at your hotel consider dining at the Dobbin House Tavern. Built in 1776, the Dobbin House Tavern is the oldest building in Gettysburg and is listed on the National Register of Historic Places. It is believed to have been a stop on the Underground Railroad in helping freedom seekers. Today stroll around downtown Gettysburg and take in the quaint shops. Stop in the Shriver House Museum to get the perspective of the Battle of Gettysburg from the civilian’s perspective. Visit the David Wills House. President Abraham Lincoln stayed with the Wills family the night before his famous Gettysburg address. Today the Wills House is a place to learn about the Address, the town and the battle’s effect on Gettysburg’s citizens. 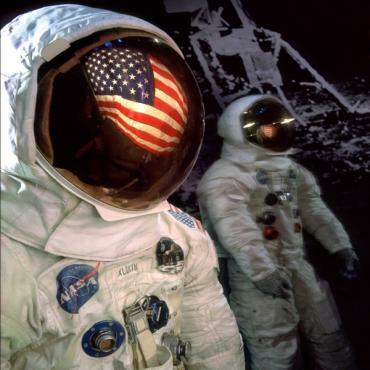 Visit the Eisenhower National Historic Site. President Dwight D. Eisenhower and his wife, Mamie, owned only one home, and it was here at Gettysburg. The Eisenhower home and its furnishings have changed little since Ike and Mamie's years together in Gettysburg. A tour of the home offers an intimate glimpse of the Eisenhower’s life and times. You may wish to take in a historic ghost tour walk in the evening before dinner. Spend the day at the Gettysburg National Military Park and Visitor Center. Here you'll enjoy the Morgan Freeman-narrated film A New Birth of Freedom. This film will orient you to the Battle of Gettysburg and the American Civil War. After the film, ascend the escalator to see the massive “Battle of Gettysburg” Cyclorama painting – the largest painting in the country. This original 1884 work of art is larger than a football field and combines with an overhead canopy and a three-dimensional diorama to create a Victorian illusion. 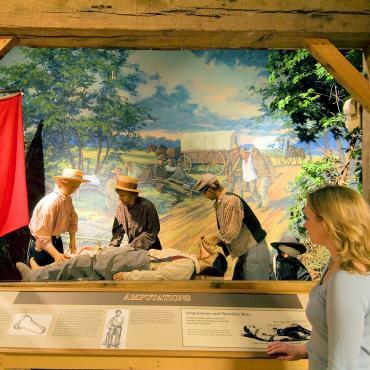 You'll enjoy exploring the Gettysburg Museum where the story of the Battle and the war is told through 12 galleries and includes artifacts, interactive exhibits and films. Depart Gettysburg for the short drive to Frederick, Maryland. Just 23 miles from Frederick is Emmitsburg, rich in Catholic-American Heritage, Emmitsburg is a beautiful and historic town founded in the early 18th century. Here you can visit The National Shrine of Our Lady of Lourdes, a replica of the famed Grotto of Lourdes in France and is the oldest such shrine in America. A place of pastoral beauty and spiritual inspiration, the Grotto draws approximately 500,000 religious pilgrims and tourists annually. Also enjoy the Basilica of the National Shrine of Saint Elizabeth Ann Seton, the first American-born citizen to be proclaimed a Saint. Italian and German artisans designed the interior of the Basilica of the National Shrine of Saint Elizabeth Ann Seton. Dedicated in 1965, it was designated a Minor Basilica by Pope John Paul II in 1991. The remains of Mother Seton are entombed under the Altar of Relics in the Basilica. Pilgrims come here throughout the year to learn about her life, discover the depths of her faithfulness, and walk meditatively in her footsteps. Here you can explore the National Museum of Civil War Medicine. Interactive educational programs, exhibits, seminars and lectures provide the knowledge that Civil War medicine connects us not only to our past, but is the scientific and historical link to our present and our future. 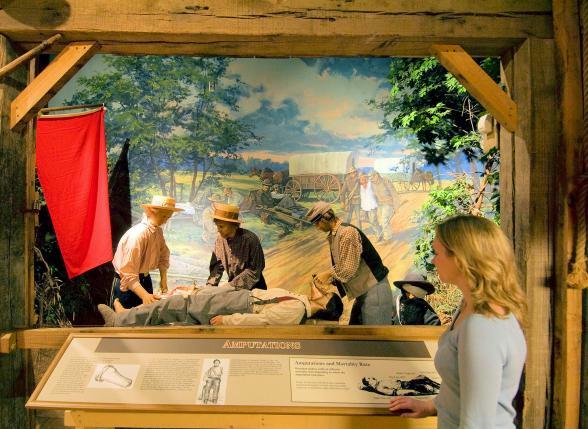 The National Museum of Civil War Medicine is the premiere repository of exhibits and artifacts devoted to the technological and procedural advances made in the medical field between 1861 and 1865. These changes occurred in the midst of tremendous social and economic upheaval. In late afternoon tour the Camp David Museum and pop into the Cozy restaurant for a bit to eat. This museum houses the history of Camp David through pictures and memorabilia of presidents from Hoover up until today. The artifacts in the Camp David Museum were gifts to Cozy from press corps and dignitaries. 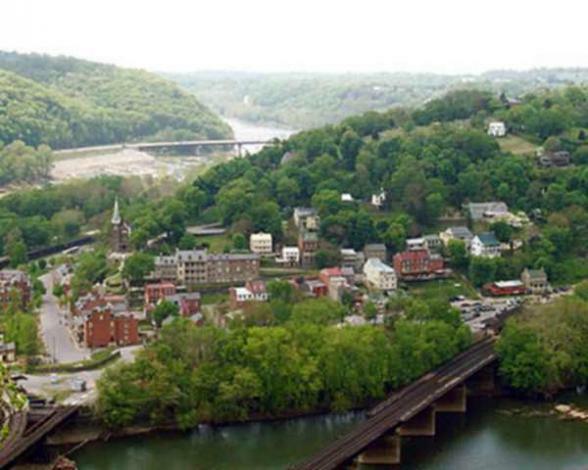 It's just over half an hour's drive to your next stop, Harpers Ferry, WV. Here take a tour with a Nation Park Ranger at the Harpers Ferry National Historical Park with a focus on the John Brown Raid and the W.E.B. Dubois Niagara Movement. 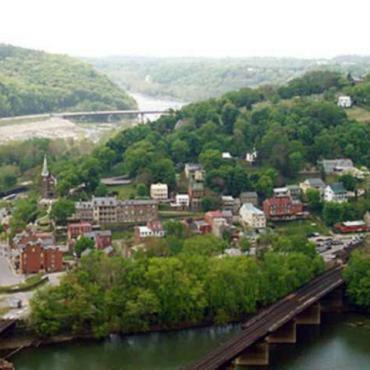 The history of Harpers Ferry has few parallels in the American drama. It is more than one event, one date, or one individual. It is multi-layered – involving a diverse number of people and events that influenced the course of our nation’s history. Harper’s Ferry is also home to “Storer Normal School" opened in 1867 where Frederick Douglass served as a trustee of Storer College, and delivered a memorable oration on the subject of John Brown here in 1881. To combat racial injustices, Dr. W.E.B. Du Bois and other leading African-Americans created the Niagara Movement, which held its second conference on the campus of Storer College in 1906. The Niagara Movement was a forerunner of the NAACP. 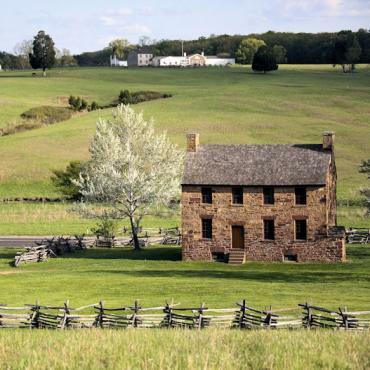 In the afternoon take the 25 minute drive to Sharpsburg, Maryland and visit the Antietam National Military Park. 23,000 soldiers were killed, wounded or missing after twelve hours of savage combat on September 17, 1862. The Battle of Antietam ended the Confederate Army of Northern Virginia’s first invasion into the North and led to Abraham Lincoln’s issuance of the preliminary Emancipation Proclamation. Be sure to tour the Pry House Field Hospital. 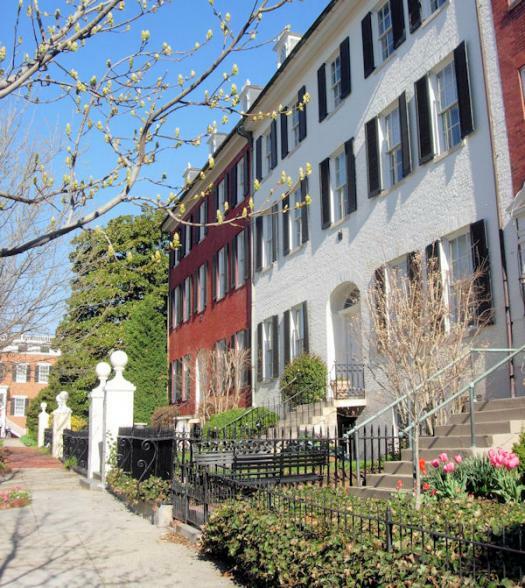 This new museum is located in the historic Pry House, which served as Union Commander General George B. McClellan's headquarters during the battle. Exhibits include a re-creation of an operating theater, interpretive panels and objects relating to the care of wounded and the effects on the civilian population in the area, and information on the Pry House. 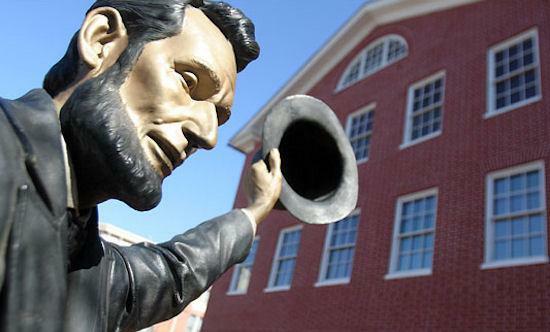 Take the opportunity to walk in the footsteps of Abraham Lincoln who visited the house two weeks after the battle. Today, it's a short scenic drive to Leesburg, Virginia. Visit Dodona Manor, this 1820’s Federal house with mid-19th century additions, was home of General George C. Marshall. 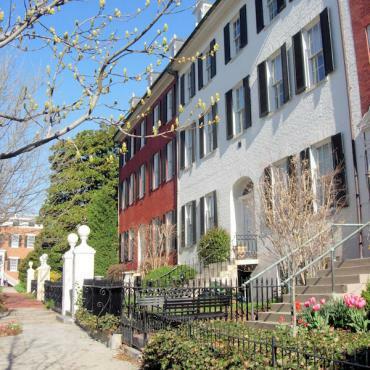 Although architecturally significant, the site was designated a National Historic Landmark as the residence of General Marshall from 1941, when he and his wife purchased the property, until his death in 1959. During his residency at Dodona Manor General Marshall served our nation as Chief of Staff of the Army 1939-45. His career as a military officer spanned 44 years, including distinguished service in two world wars. General Marshall as the architect of the European Recovery Plan, known globally as the Marshall Plan, was awarded the Nobel Peace Prize in 1953. Spend the afternoon in nearby Middleburg, Virginia. Founded in 1787, Middleburg is nestled at the foot of the Virginia Piedmont in scenic horse country. 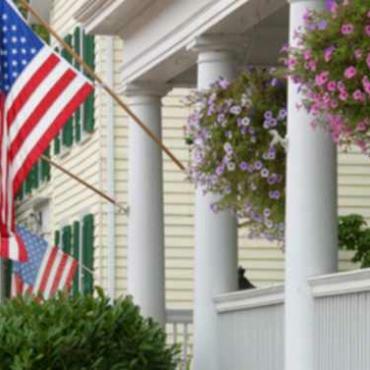 Elegant and sophisticated, Middleburg’s mystique is evident in its graceful, tree-lined streets and treasure of stylish shops, excellent restaurants and cozy inns. At one time it was a haunt for Jackie Kennedy. Enjoy a wine tasting at Boxwood Winery or Chrysalis before departing to Prince William County. Just under an hour's drive to your next stop on your Journey Through Hallowed Ground Byway. 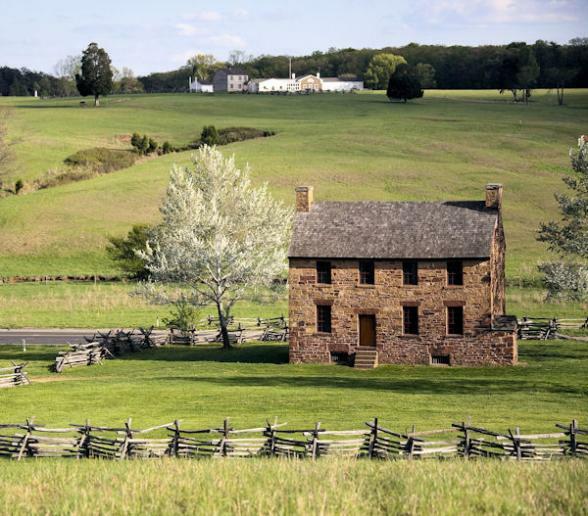 Arrive Manassas and tour the Manassas National Battlefield Park in Prince William County. On July 21, 1861, the confederate & union armies clashed for the first time. Heavy fighting swept away any notion of a quick war. Begin your tour at the Visitor Center with the "Manassas: End of Innocence," this 45-minute movie provides an overview of both the First and Second Battles of Manassas. Enjoy lunch in Historic Manassas and take in the great quaint shops that downtown offers. You'll want to stroll around the Manassas Museum and experience the place where the first major land battles of the Civil War began. See exhibits interpreting Northern Virginia Piedmont history and enjoy special programs that bring our nation's history to life. It will take you just under one hour to reach your next destination, Culpeper and the Graffiti House. This two-storey frame structure, built around 1858, stands beside railroad tracks, indicating it was probably a commercial structure and home for the business owners. According to local tradition the Confederate army, following the Battle of Brandy Station, used the Graffiti House. The building also might have been used for a Union headquarters during the great Winter Encampment of 1863-64 when over 100,000 Federal troops occupied Culpeper County or by soldiers just looking for a night indoors away from the cold ground of their encampment. Generations of wallpaper have been peeled back in the Graffiti House to reveal handwritten notes, drawings and patriotic missives written by soldiers on both sides of the Civil War. After lunch in downtown Culpeper, tour James Madison’s Montpelier and Madison’s Tomb. 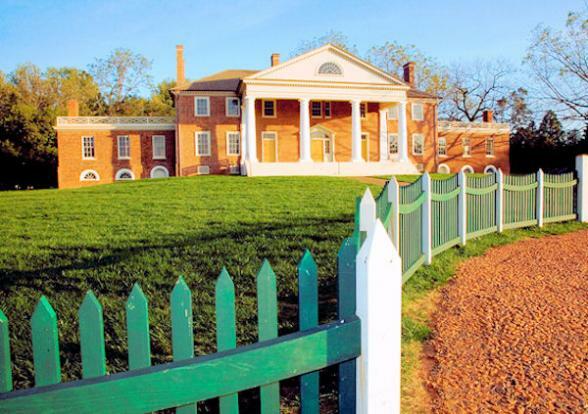 The lifelong home of James Madison, "Father of the Constitution" and fourth President of the United States, was also home to three generations of the Madison family from 1723 to 1844. The mansion core was built by Madison's father c.1760. Today, it is the centerpiece of a 2,700-acre estate containing farmlands, forests, formal gardens, 135 buildings, and a steeplechase course that was added in the 20th century. Early evening arrive in Charlottesville and check into your hotel. 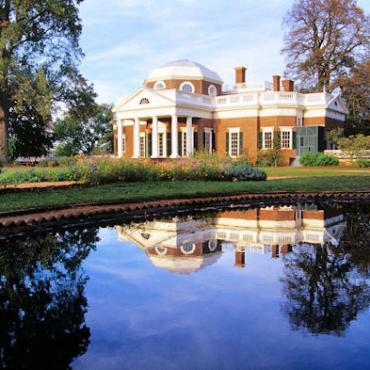 Enjoy the morning touring Monticello, the beloved home of Thomas Jefferson, principal author of the United States Declaration of Independence (1776) and the third President of the United States. See Thomas Jefferson's World, a 14-minute introductory film that dramatically presents Jefferson’s ideals and accomplishmentsand illustrate Monticello’s central importance to his life and work. Catch the shuttle for a tour of the house. The house is a remarkable integration of classical architecture and modern innovation designed by Jefferson and built on the mountain top where he had played as a boy. 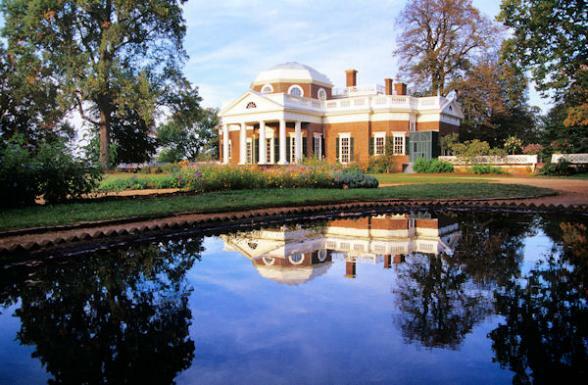 Monticello and the University of Virginia are UNESCO World Heritage Sites. Whilst exploring Monticello stop for lunch at the historic Michie Tavern. Period-attired waitstaff serve a hearty Colonial period fare buffet in this 200-year old converted log house. It's time to travel back to Washington, DC for your early evening flight home. 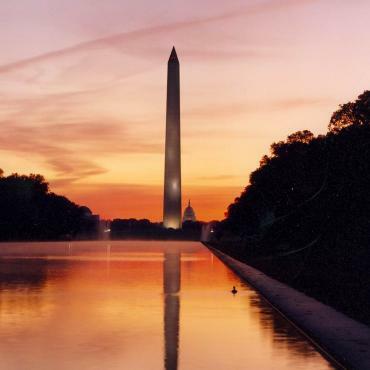 However your adventure doesn't have to end here, perhaps you may want to extend your stay and spend a few more days in Washington DC or maybe relax on the golden sands of Virginia Beach. Call the travel specialists at Bon Voyage to discuss your ideal Journey Through Hallowed Ground Byway discovery.